Why Does Ignition Coil Failure Occur in Volkswagens? Volkswagen has developed its own subculture of car enthusiasts. As one of the most affordable in the elite lineup of fine German cars, Volkswagen cars are enjoyed for their driving experience, reliability, and their accessibility. Any modern vehicle can suffer from ignition coil failure, and Volkswagen is no exception. 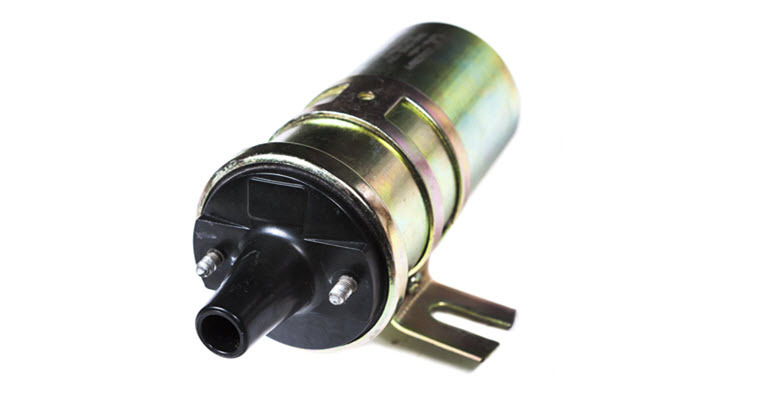 The ignition coil is an essential part of the ignition system which send electricity to the spark plugs in your engine. There are many reasons why it may fail, and only one way to fix it. As a critical component to creating proper combustion in your engine, the ignition coil is a relatively simple, yet very important part in your car. Ignition coil failure will cause a multitude of noticeable problems. You may start to experience difficulty starting the engine, or repeated stalling. Power loss and hesitation is also very common. This can occur during normal driving and become more pronounced when trying to accelerate. Over time, fuel mileage will be compromised along with your vehicle’s performance. The engine can start to overheat, as well. In many cases, the check engine light will come on but may only appear periodically. The engine codes will almost always read as a misfire in one or more of the cylinders. In more advanced ignition coil failure, there can be audible snapping or banging noises coming from under the hood. If you do not get your Volkswagen serviced immediately, complete ignition coil failure will cause your engine to either fail to start or constantly stall soon after turning over. It is so important not to let it get to this point. Take your car to a qualified Volkswagen specialist at the very first indication of any malfunction. Ignition coils are generally sturdy components that may easily survive the lifetime of a vehicle. In certain vehicles that have a higher prevalence of ignition coil failure, such as Volkswagens, a certified mechanic should regularly test the coil for any signs of imminent issues. There are plenty of reasons why the ignition coil could fail. Regular vibration from normal driving and heat exposure can cause damage to the insulation or the windings on the coil. Excessive moisture, usually caused by oil leaks rather than water, are also suspect. Other underlying issues within the vehicle’s electrical system such as bad spark plugs or wires can also overload the ignition coil with too much voltage. The latter is more common, as any problem with the spark plugs will directly impact the ignition coil. This is why it is critical for your mechanic to also thoroughly inspect other components in your Volkswagen engine to ensure that any related issues are also repaired. If you encounter any of the telltale signs of ignition coil failure, you need to get your car serviced immediately to prevent further damage. Ignition coil replacement itself is relatively quick and simple for expert mechanics, however they also need to apply their expertise inspecting the entire unit. Many Volkswagens will also require new spark plugs or repair to other components indirectly affected by the ignition coil failure or the hidden malfunction that caused it. As the ignition coil and related components are all related to your vehicle’s electrical system, it is never recommended that you should attempt repair on your own. You should also never trust your Volkswagen to anyone less than a Volkswagen factory-trained technician. Moreover, the best way to prevent problems with the ignition coil is through regular, thorough maintenance of your vehicle. Always opt for a mechanic who knows the brand and can service the specific, individual needs of your Volkswagen. Volkswagen certified mechanics are no strangers to ignition coil issues. At German Motors and Imports, we specialize exclusively in the maintenance and repair of German vehicles. Our team of experts are educated on all the specific ins and outs of Volkswagen, Audi, Porsche, Mini Cooper, and BMW models. Since 1959, German Motors and Imports has gained a faithful following of satisfied customers throughout San Diego, La Jolla, Pacific Beach, and Clairemont, CA. If your Volkswagen is displaying any of the symptoms of ignition coil failure, contact our trusted specialists at German Motors and Imports so we can get you back on the road as soon as possible.